Dr. Forschner’s passion in OB/GYN is helping women and their families, through some of the most exciting and fulfilling experiences of their lives. Dave grew up in Toledo, Ohio and graduated from Denison University. He went to medical school at The Johns Hopkins School of Medicine, and did his OB/GYN residency at the University of Colorado School of Medicine. Dave and his wife Jami have lived in Colorado since 1995. They have three children, Anneliese, Soren, and Bergen. Dave and his family enjoy skiing, hiking, cycling, and all that Colorado has to offer. Dr. Breeden's philosophy of care is to invite the patient and her family to be fully engaged in their healthcare. A particular interest of his is helping women to achieve a vaginal birth after C-section. Matt grew up in Cincinnati, OH and attended Louisiana State University. After college, he returned to Ohio, where he spent a few years doing research in wound healing before attending the University of Cincinnati for medical school. 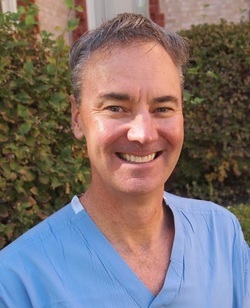 In 1997, he moved to Denver for his residency in OB/GYN at the University of Colorado. 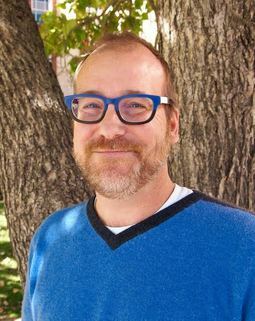 Matt lives in central Denver and enjoys finding new restaurants, traveling, and working with glass mosaics. Dr. Amos's philosophy of care is to join her medical knowledge with each patient's own research and desires to collaborate on individualized care. Her passions in OB/GYN are family planning, birth control, basic infertility and prenatal care. Margie grew up near Pittsburgh, PA and earned her undergraduate degree at Denison University in Ohio. She graduated from medical school in Cincinnati, OH and moved to Denver in 2007. Margie lives in Central Denver with husband, Josh, and their dog, Mazzi. She enjoys all the great outdoor activities in Colorado, especially skiing, hiking, and golfing. The word midwife means "with woman" and this nicely sums up Jeanne's philosophy of care. She believes in listening to women, offering them information for making informed choices, and encouraging women to be partners in their healthcare. Jeanne moved to Colorado at the age of 10, and before that traveled the world with her military family. She earned her Certification in Nurse-Midwifery and a Masters of Science in Nursing at the University of Pennsylvania in 1982. She then earned her Doctor of Nursing Practice from the University of Colorado in 2011, with a doctoral project on teen pregnancy prevention. Jeanne and her husband Billy have two daughters, Alex and Kristen. Her hobbies include travel, music, theater, and gourmet cooking.